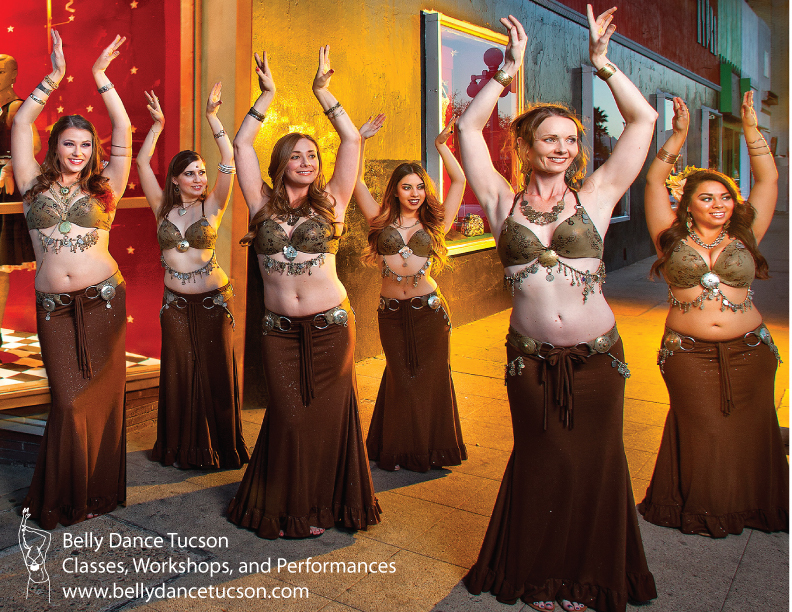 The Belly Dance Tucson® Performance Troupe is comprised of talented, captivating, and entertaining women. We offer stunning entertainment for very special occasions. Our customized family friendly belly dance shows are fit to add spice to your next event! We will leave your guests enchanted and so happy that they’ll be talking about your event for months to come! We can also be booked with Flamenco Fusion Band Tesoro. We are also well connected with several performers including magicians and DJ’s in the Tucson area and can help you add to any event! Your event is unique so you build your package based on the specific needs of your event. Please fill out a contact form or call 520-369-2925 to discuss pricing and planning options. If you prefer to pay online once your contract has been emailed to you, you may pay your deposit of for your entire performance below. Pay your deposit or for your entire performance here. Chose whether you're paying your deposit or for your full performance and then type in the agreed upon amount. It's that easy! “Like” Belly Dance Tucson on Facebook and your first class is FREE! Just come in, give us your name, let us know that you “liked” us and that’s it! © 2019 Belly Dance Tucson.